Physicians want to provide the best care for their patients, but they are often challenged by the limits of current medical capabilities. For example, bladder cancer can be difficult to diagnose, making it hard to find at an early stage when treatment is most effective. It can also be difficult to distinguish between benign and malignant tumors when diagnosing kidney cancer. In addition, kidney cancer returns in approximately 30 percent of those patients who receive treatment. Is there a way to develop better diagnostic tools to address these problems and offer patients better treatments sooner? These are questions that Alexander Parker, Ph.D., an epidemiologist at Mayo Clinic’s Florida campus and associate director, Mayo Clinic Center for Individualized Medicine, and a team of physicians and scientists working side-by-side are hoping to achieve as part of Mayo’s Transform the Practice initiative, which aims to accelerate scientific breakthroughs into critical advances in patient care. “The first step in improving patient care is to define the unmet needs of patients and then establish a framework for finding solutions. How do we know when we have been successful? When we make the unimaginable become the unremarkable, that is progress,” says Dr. Parker. The search for answers began by pulling together a multidisciplinary team of scientists and clinicians to collaborate and find solutions that would improve patient care. “We brought together a team of colleagues from biostatistics, bioinformatics, epidemiology, urology and pathology – each bringing their unique expertise to focus on the same set of questions. This team science approach enabled us to accelerate our investigative process,” says Dr. Parker. A urine-based test to identify biomarkers that reveal bladder cancer at an early stage. A tissue-based test to identify protein markers for aggressive forms of kidney cancer that return after treatment. A genomic-based test that serves as a liquid biopsy to help distinguish between benign and malignant kidney tumors. Dr. Parker and his colleagues began looking for breakthrough diagnostic tests and treatments more than 10 years ago in what was considered the dawn of the genomics age. As genomic testing became faster and cheaper, researchers saw a rapid acceleration in their ability to look within the human body for clues about health and disease. 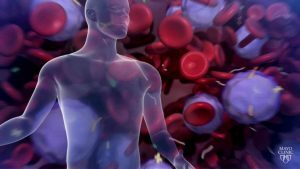 Examining biomarkers – which are small molecules found in the blood, tissue or other body fluid samples that indicate a normal or diseased state – were a promising avenue to start finding new ways to diagnose and treat cancer based on an individual’s biological and genetic makeup. These biomarkers provide information about the spectrum of disease and health and are used to identify disease risk, early detection of disease, diagnosis and treatment for many conditions. 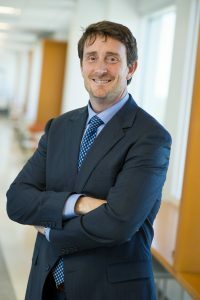 “Advances in genomic technology enabled us to cast our net widely and search through tens of thousands of biomarkers and then use sophisticated analyses methods to search for those that could help us identify bladder cancer at an earlier stage and which patients with kidney cancer will have a recurrence of their cancer after surgery ,” says Dr. Parker. To accelerate research from discovery of biomarkers to tests that can be used in the doctor’s office, researchers are exploring innovative ways of conducting a rigorous validation of their findings. Once validated, these tests will be developed for use in the clinic and offer promising new tools for bladder and kidney cancer detection and treatment. “The key to our success thus far has been a team approach to innovation. By working together, we can speed the scientific discovery process and bring improved diagnostic tests and therapies to patients faster. Our plan is to think big, start small and move fast,” says Dr. Parker. Mark your calendar and plan to attend Individualizing Medicine 2017 on Oct. 9-10.